1 1/4 x 1 3/4 inches. 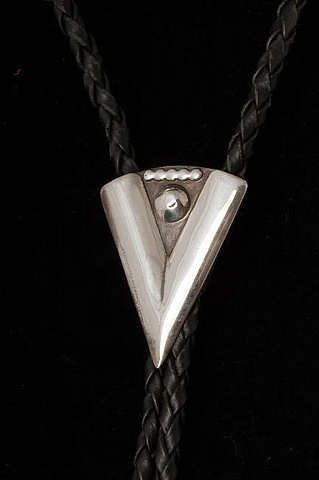 Sterling silver with leather. 1 1/4 x 1 3/4 inches.